The new sale is Friday night, but a couple of last-minute previews are up now! Meet the purple Syclowave, available for previewing at BattleGrip.com right now. 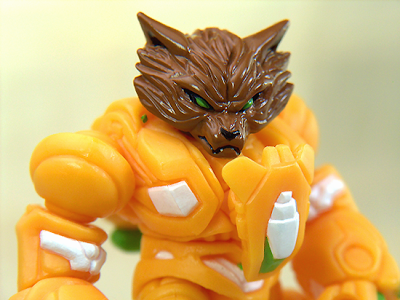 Also check out the brown fur head of the new Sonesidar Mimic Armorvor, shown in its "Axorvor" enhanced build at the Glyos Transmissions Web Log. Nice! The vinyl Syclodoc figure is $25. The Armorvor is $8. And they'll both sell out in less than 30 minutes or your pizza is free. The Galactic Jerkbags exclusive has been confirmed! The good news is that they will be available Saturday, February 2. The bad news? It's a very small run of 21 pieces. They run $40 each, and you can read more here at Galactic Jerkbags. Get your ordering fingers ready! 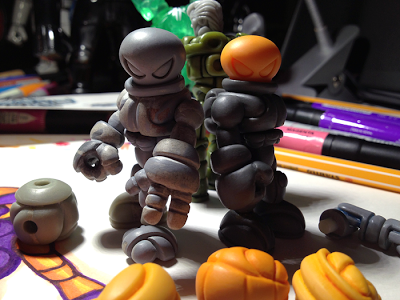 Your pal and mine Philip Reed has started Glyos Week at BattleGrip.com! Featured are reviews, artwork, inspirations, and stories for the popular line which of course will culminate with Friday's Onell Design drop. Mr. Reed spares no expense and leaves no stone unturned, showcasing original art of the Syclodoc colored like Shockwave from Transformers and linking to a review from yours truly. Good stuff. Check it out! 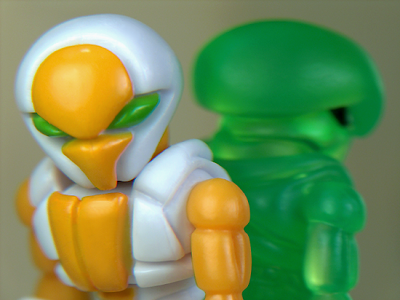 New Glyos Release February 1 - Mission: Irresistable! 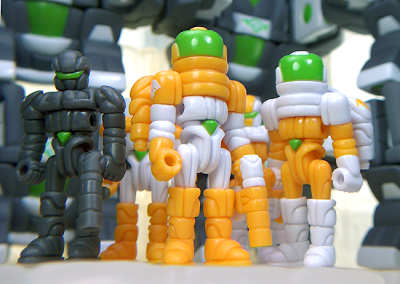 The Glyos Transmissions Web Log has added a post called "Mission Details!" which outlines this Friday's batch of Adventure People-inspired figures called "Operation: Sonesidar." Orange, white, and grey are the main colors this time and the Mini Blocker Rig build debuts as a buyable product at this drop. Also notable is the return of Exellis in grey with a scarf, as this is the first use of the mold for nearly half of a year. Click here to see the drop details as they are now - an as-of-yet-unrevealed redeco of the awesome Syclodoc (a review of which is queued up) is set to be revealed later in the week. John "Doctor Kent" Kent has picked up not one, but two toy licenses! Tied to ToyFinity.com, the new (old) lines are Robo Force and Rocks and Bugs and Things, which are a pair of licenses that definitely qualify as obscure 1980s toys. The original toys were made by Ideal. Mr. Kent made the announcement on the Moderately Geeky Podcast last week. So naturally I annoyed him with some emails. 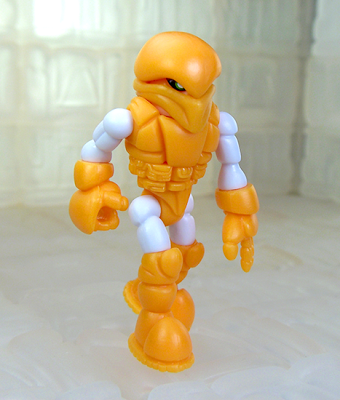 He said (and I quote) "Robo Force is DEFINITELY Glyos-compatible." So there's that. Rocks and Bugs and Things does not seem to have that kind of detail known yet, but looking at the original toys it seems that the transforming toys may not necessarily lend themselves to that kind of a design as easily. So if there's more word on either of these licenses and any Glyos compatibility, you'll hear more here. Or somewhere else, and we'll link to it here. 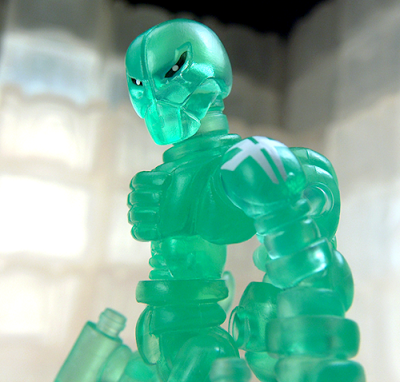 Another post at the Glyos Transmissions Web Log give you the flavor of the next batch, plus a preview of things to come! Check out two really slick Deep Space Glyans as well as a hint of three regular Glyans in the background. A new Rig may be spied in the background, and rumors of a Mini-Rig (heh, Star Wars) abound for an upcoming drop. Check it out! A new drop! 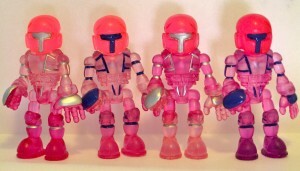 You probably saw the post New Wave over at the Glyos Transmissions Web Log, but if not go ahead and read it. The wave is meant to be more toy-y, and certainly looks awesome. Check out that Sarvos! Modeled after the Fisher Price Adventure People, this batch is looking expensive... and that's just an assumption after seeing 2 figures so far! Start saving your money and click here to read all the news. 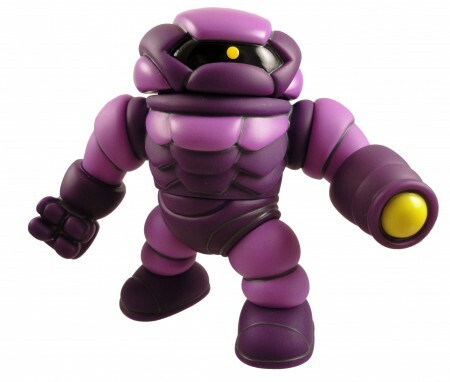 This Glyos Custom figure is based off of the Hungry Hungry Hippo table-top game. Read more at their page! 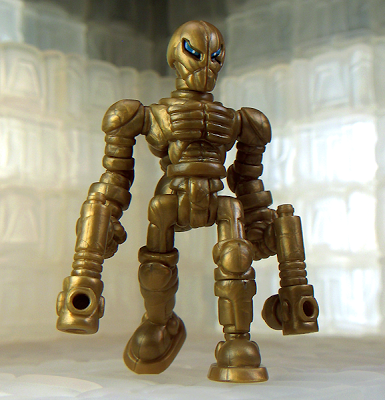 "The figure is currently in china at the Glyos factory and being reviewed as I type this. So in the mean time I figured I’d let you guys get a gander at whats on the slate. I also wanted some feed back before we set anything in stone." I have good news and bad news. The Callgrim drop last night had 5 new items, and the good news is 4 are still available. The new Warp Bike sold out rather quickly, and it seems it was a very, very low run. Before you do anything else, click here to see what the Callgrim Shop still has in stock. New releases of ol' skullface are still in stock! The versions pull plastic colors from other recent releases, such as the silver Banimon figure and last year's hugely successful Onell Design Hades drop. As I write this there are still a few of the excellent Fragrarian figures left in stock as well, so you might want to go place an order while you can. If you like Sucklord Glyos releases (and who doesn't?) 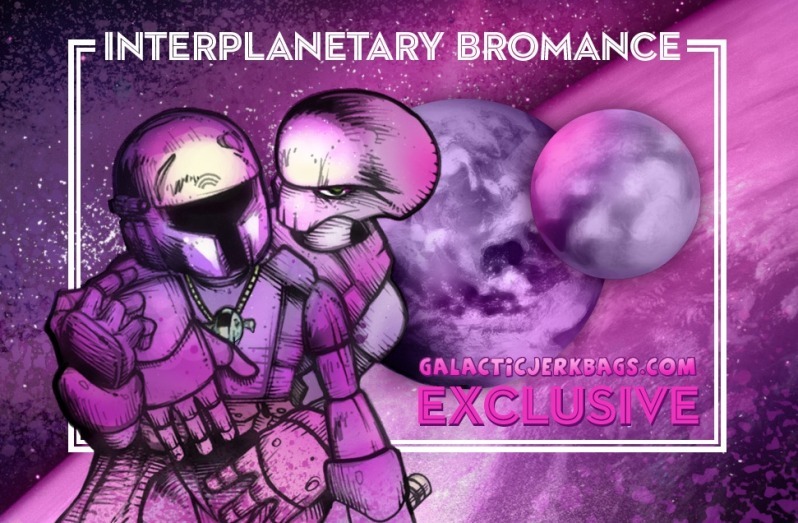 you should take note of the Galactic Jerk Bags exclusive "Interplanetary Bromance" coming soon. No prices or date yet, but we do have some details, which are also on the site here. "Each figure is hand dyed and hand painted. This is a collaborative piece and will be very different from the last exclusive, the Karate Chumps. Those were made via special order by Sucklord himself and ended up being sold out. This exclusive will be sold directly here on the site and will be limited to 21 hand numbered pieces!" Based on the teaser art by the top-notch and first-rate Jesse Moore, it appears they will be similar to last month's Council of Travelers from Onell Design. Metallic blue or silver with blue reflections has been teased, and it's unknown if the Christmas art is just art or a sign of toys to come tomorrow. Some of the new art also showcases what seem to be Banimon/Callgrim hybrids. While not officially named yet, the graphic was labeled the Dark Voss Callgrim! Note the tampo on his shoulder. It's pretty cool. No word on a release date or price yet, but you can click through to the Callgrim Blog to see the article which has, well, almost less information than you just read here. One can hope! 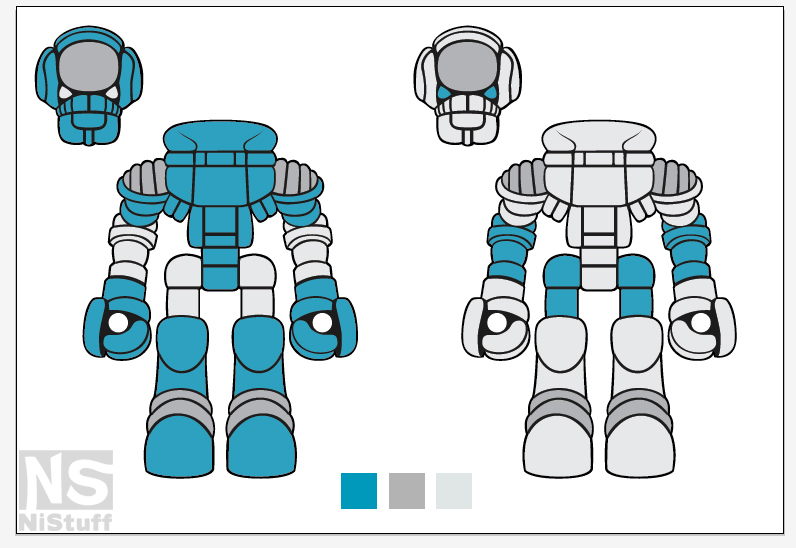 A wonderful deluge of postings at the Glyos Transmissions Web Log have revealed several mechanicals (or coloring book pages) as well as insights into aborted, shelved, or long-in-development projects like the nifty Noboto. If you really dig through their archives, you'll find that this post with a Noboto sculpt was posted in December 2007 and (at press time) wasn't even tagged, so if you go digging for Noboto dirt you might miss this one. If you squint, you can see lots of other items in the photo which are suspected to be hints at other possible upcoming items. You can see what seems to be a new limb with a hinge joint (a first for Onell Design), a Ruger head on a Glyan body, what seems to be a green clear Callgrim with a shoulder tampo, and a head from the Lost Sincroid Army. Is this significant? Will it mean cool new things are due very soon? I have no idea. For those keeping track of such things, the Armorvor was first teased in a similar post as a drawing in August of 2011. A 3D casting was first shown at New York Comic Con in October of 2011. The first release was August of 2012.